Caution: Try to make it through this article without cuddling with your pet. The Jamai Raja actor and his wife Sargun have an adorable pet, Moyo. Besides holiday diaries, selfies in-between shots, a delectable bundle of joy dominates Ravi Dubey‘s Instagram feed. The Jamai Raja actor‘s furry friend, an absolutely adorable pet dog – Moyo. Before we jump to praising the goofball for a cutie patootie that he is, may we take a moment to appreciate just how cute his name is? Moyo is the CUTEST doggo names ever. The end! Hop on and join us as we take you on a detour into Moyo’s life with his parents Ravi Dubey and Sargun Mehta. P.S. The level of cuteness could be fatal. You’ve been warned. Can’t decide if we are crushing more on the Zee TV star or Moyo. What about you? 3. Sorry Ravi, But We Can’t Take Our Eyes Off Moyo In This One! Just gonna drop it here and let that face take care of all your blues. 4. Moyo Gives The Best Hugs. Period. Ravi, who currently is seen on Zee TV as host of Sa Re Ga Ma Pa Li’l Champs 2019, and his pet Moyo are here to slay! We are head-over-heels in love with this furball. While we can bet these pictures did make you smile and brighten your day, our life goal now is to pet a dog. Is it yours too? Comment and let us know your thoughts about Moyo. 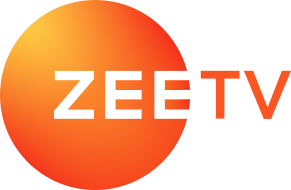 Now stay up-to-date with everything that’s happening on your favourite TV show on ZEE5, anytime, anywhere!